In this mysterious world, there are some places which are beyond our imagination and of course about them many of us have never heard off and never seen too. Being a human being I m curious too. So am helping you with the list of so many places across the globe that actually exists. Even for some phenomenon, we are not able to give the scientific evidence but these places are in existence we believe it or not. 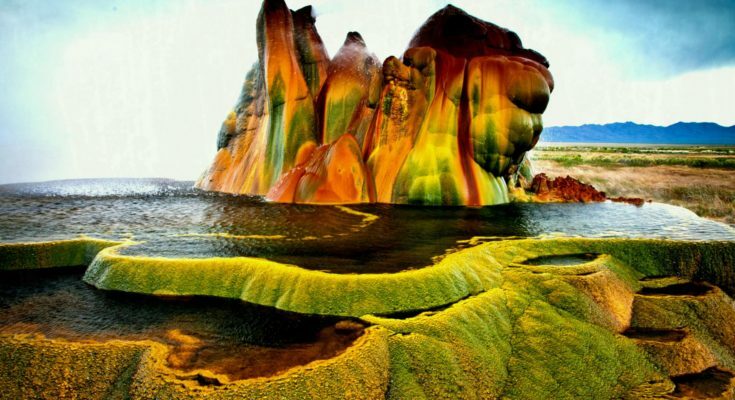 Here is the list of ten most amazingly beautiful, incredible places scientifically impossible places that actually exist. Indonesia’s Kawah Ijen volcano is known as a blue volcano. This mysterious scientifically impossible place is situated near the Eastern tip of Java Island, Indonesia. Unlike the other volcanoes around the globe glorify red lava, the Kawah Ijen lava appears electric blue in color. So instead of producing red lava and black smoke, it’s blue in color, that is an unusual property of the active volcanoes of Kawah Ijen. The active Kawah Ijen volcano is part of a complex of volcanoes in Banywang Regency, Java. This popular complex is situated within Ijen crater with stratovolcano Gunung Merapi as the highest point. The Kawah Ijen complex volcanoes have some of the highest levels of Sulfur around the planet. So the dense gas, when exposed to the oxygen at the temperature around 360.clesius the lava emits blue color. The molten hot lava turns blue. The other volcanoes lava can be seen in daylight also but the Kawah Ijen lava can be seen only in the night. 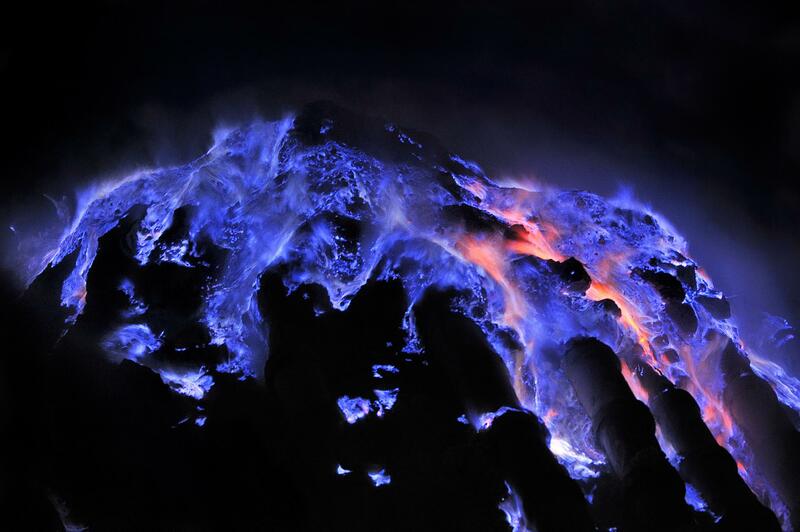 The blue burning flames of Kawah Ijen lava will give you alien experience on the Earth. The blue flame is due to the sulfuric gases from the sulfuric mine within. The miners extract the sulfur rock formed after the blue flame extinguishes and leave behind a black sulfur solid rock. The sulfur miners are local village residents. No matter when you plan a trip to this scientifically impossible destination in Indonesia. The trek will start probably at midnight to see the blue volcano. The best option to see the blue fire volcano of Kawah Ijen, hire a local guide and have the incredible view but the condition is highly dangerous so prefer to wear gas masks and carry safety equipment. People may suffer from long term health problems due to sulfur exposure. These volcanic materials make it one of the more dangerous places on Earth. The unusual waterfall located On the Brule River in Minnesota’s Judge C. R. Magney State Park has given wings to the imagination for decades. This waterfall is popularly known as Devil’s Kettle. Beyond 10 feet, the water just disappears into the dark. This scientifically impossible waterfall splits into two parts: one half of the river flows up to the edge of the falls and tumbles over, but the other half slips into a hole at the top of the falls and disappears. It is a mystery since the decades and has lots of notions. Locals claim that everything like sign boards, balls even cars have been dropped into the hole but none of the materials emerged. Even one young boy had claimed that he rappelled 26 feet into the hole and never saw the bottom. The local notions regarding the swallowing of balls, signboards by the Devils’ Kettle have the very simple reason that the objects have been smashed to smithereens before they ever got a chance to re-emerge. This scientifically impossible place that really exists is located in the rural center of Norway. In Norway, there are floating lights of white, yellow and red at night over the Hessdalen Valley that remain for seconds to over an hour, sometimes. The presence of strange balls of light hovering over a valley in central Norway has generated the spark within the scientists for years. These mysterious lights have a scientific notion unusual lights could be formed by a natural ‘battery’ buried deep underground, created by metallic minerals reacting with a sulfurous river running through it. Some of the lights drift gently through the sky for up to two hours, while others flash white or blue and streak through the valley. There are different scientific notions that they may be caused ionized iron dust but none of the results are satisfactory. Some evidence is based on the bubbles of ionized gas are made when sulfurous fumes from the River Hesja react with humid air, forming the balls of light. Another claims that metallic rocks divided by a sulfurous river provide a natural ‘battery’ which provides the right conditions for orbs. This mysterious triangle is the area between Bermuda, Florida, Puerto Rico. The unexplained scientific evidence lies beyond the existence of this Bermuda Triangle. Many of the aircraft and shifts have disappeared in this region but none of the scientific results are satisfactory. The events are strange regarding crew and ships. Some of the reasons behind the disappearance lie on supernatural forces other claims as human error. In clear view, this is the triangle found on the southern tip of the United States. The famous mystery came into light when Flight 19 of U.S Navy disappeared from the area, last cockpit recording revealed that the magnetic compass was failed and they were around Florida. The U.S coastguard believes that the disappearance of the flights or ship happens due to the man-made environmental mistakes. Columbus’s ship floated on still waters through the Triangle in 1492. He documented unusual compass readings and a fireball in the sky. More than 1000 lives have been lost in the Bermuda Triangle over the last century. On average, 4 aircraft and 20 yachts go missing every year. The US government testing base, AUTEC, is known as the naval Area 51. Located near to the Triangle, the area has been the scene of reported UFO sightings. Another scientifically impossible destination that exists in Lake Karachay, sometimes spelled Karachai or Karachaj. This is a small lake located at southern Ural mountains in central Russia. It is close to the border with Kazakhstan in the Ural Mountains. Located within the Mayak Production Association, one of the largest and leakiest nuclear facilities in Russia, this lake is so tainted by radiation that it’s considered the most polluted place on earth. Karachay was located very close to the reactor. It was fed by a single river, and didn’t have any surface outlets. Thus, it was reasoned that it could quite easily trap nuclear waste and prevent it from spreading to the surrounding regions. The damage done was horrifying as it has reflected by a 21 percent increase in cancer cases, a 25 percent increase in birth defects, and a 41 percent increase in leukemia. Another incident need to be mentioned is when the Lake Karachay dried up and the radioactive dust from the lakebed blew all over the nearby villages making the situation worst. As a result of these incidents, large areas of Chelyabinsk remain uninhabitable to this day. Lake Karachay, is so extensively polluted by the waste of radioactive substance that even spending an hour may lead to death. The name itself is full of mystery. How a river can be at boiling temperature. Lots of questions hovering over the heads. This amazing destination scientifically impossible to exists lies deep in the Amazon, a four-mile long river that kills. It burns so hotly that it kills. According to the scientific evidence the “Hot Rivers” do exist but they are generally associated with the Volcanoes and there are no volcanoes in that part of the country. So the mystery of the boiling river is yet unfolded. The Shanay-Timpishka gets as hot as 196F (91.1° Celcius) and boils anything that enters the water alive. Some of the scientists claimed that this geothermal activity takes place due to the fault line beneath the earth but no scientific evidence has supported the hypothesis. Scientists believe that boiling hot water from under the earth cracks through fault lines and heats up the river, making the water a geothermal system unlike any other on the earth. People have seen animals falling from the trees in water get cooked from inside while struggling from surviving. The boiling waters enter their mouth and lungs and they get cooked from inside. If someone goes for a swim, they will get cooked from the inside and won’t be able to reach shore because they will be in too much pain. Many animals have already tried and died horribly. In Italy, there is a double tree. It really exists you believe it or not. In Piemonte, Italy, there is a cherry tree that grows directly on top of the mulberry tree. It’s really mysterious as both of the trees are healthy, living and do exists. But it has never happened in any part of the world. This isn’t completely unprecedented. Both the trees are fully formed and branches are over five meters across. There is no scientific evidence why this has happened. But the local people over there say that a bird may have dropped a cherry seed on top of the mulberry tree. The seed grew roots that pushed through the mulberry tree’s hollow trunk and reached below the soil and now turned into a fully formed double tree. In Knaresborough in North Yorkshire, there is a well it looks like a skeleton’s grinning face—and where anything you place under the water will turn to stone. This is another scientifically impossible place. But in reality, it exists. It’s not a fiction. The Petrifying well is made up of tufa and travertine rock, which gives all objects that touch the well’s water a stone-like appearance after several months. The well nearby the Mother Shipton (daughter of local prostitute born in a nearby cave) that petrified objects left in its waters have been something of a visitor’s attraction since 1630, making it one of the oldest tourist spots in England. The local thoughts behind the objects turning into stone were something supernatural or witchcraft. For hundreds of years, locals believed that the Petrifying Well – formerly the Dripping Well – was cursed by the devil and if they touched it, they’d too turn to stone. But in reality, due to unusual high mineral content in water and the natural evaporation process, the objects like teddy bears, hats or other random items turned into stone within three to five months duration. Eventually, scientific evidence of the water revealed the mystery behind the petrification process. The water has high mineral content that precipitates over objects creating a hard shell of mineral over it in much the same way as stalactites and stalagmites form in a cave. Rather than centuries, small toys like teddy bears can petrify in just three to five months. (just at a faster pace than natural process) Teddy bears are popular because they are porous which allows water to soak in and petrify the toy inside out. In Austria, there is another scientifically impossible place is located which will leave you behind wide-eyed. Near the Hochschwab mountains in Austria, there is a beautiful park with benches and walking trails. In the autumn morning and midsummer morning, you can jog through the walking trails. But during the spring seasons, you need to have scuba gear. The Hochschwab Mountains gets covered with dense snow during winters and when it melts, the park’s lake doubles in size—and drowns the park. If someone swims during the spring one can encounter the bridges and benches inside the water. Even one can see some Alpine flowers too, which blooms beneath the water. When in summer the water level drops the park emerges from underneath. Sometimes this amazing scientifically impossible destination is referred to as underwater forest. The most amazing scientifically impossible destination is a lake in Venezuela which hosts thousands of lightning strikes every hour. Those who are afraid of thunderstorm and lightning must avoid Western Venezuela. In year almost 265 out of 365 days in year witness the thunderstorm and lightning. No scientific evidence has yet unfolded this mystery. Some claimed that it might happen due to the presence of uranium in the bedrock. Some suggest that the shape of the mountains causes warm trade winds to collide with cold air from the Andes. That collision is then fueled by the rapidly evaporating water below and methane from a nearby oil field. Nobody still knows the reason behind the unusual thunderstorm and lightning. The most unnatural incident came into light in the year 2010 when it inexplicably stopped. One day, the storm just died down without explanation, and seemed, for a while, to be over. Then, after 6 weeks of silence, it sparked up again—and has been raging ever since. 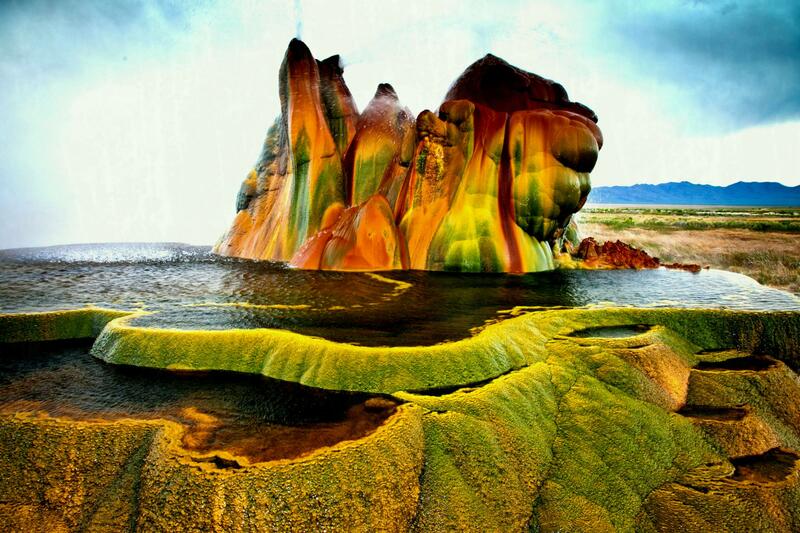 There are so many mysterious scientifically impossible destinations around the globe in the lap of mother nature. There are some arcane wonders in the world that will leave you wide-eyed. If you don’t believe me then try out these destinations that actually exists although it’s scientifically impossible to exist. Next Article Travel Advices for People Travelling to Pakistan.